HRA distributes a broad range of new, recycled, remanufactured and reconditioned automotive and truck replacement rear axle assemblies through its company owned and operated locations and direct suppliers. Our reconditioned and rebuilt rear axle line includes units for automobile, light and medium duty trucks. HRA warrants its parts to be free of defects in materials and workmanship for the warranty period indicated from the date of installation PROVIDED the part was installed properly and the break-in procedures were performed as instructed in your Order Approval Form and other documentation supplied at or before the time of purchase. Parts included under this warranty are the ring and pinion, carrier bearings, limited slip unit (if applicable) axle shafts, axle bearings, seals and axle housing. Notwithstanding any other provision of this warranty, HRA’s sole and exclusive obligation under this warranty is limited to, at HRA’s option, replacement, repair or refund of the purchase price. In the event that it is determined that the part must be replaced, the original part must be returned to LKQ to for any warranty consideration and reimbursement. Warranty registration is not necessary to obtain warranty coverage on HRA Products. If there is a warranty claim, we may need your Invoice number, date of purchase, email address or make and model of your vehicle. Products sent to HRA for inspection that are deemed not covered under our standard warranty will be held in storage for a period of 15 days. Product unclaimed after 15 days will be disposed of by HRA. HRA will immediately dispose of any product for which there is an approved claim. Normal Wear: Our products, like all mechanical devices, need periodic parts service and replacement to perform correctly. LKQ standard warranty would not apply if damage to the product has occurred because of misuse, lack of routine maintenance, shipping, handling, warehousing or improper installation. Similarly, warranty is void if the serial number of the product has been removed or the product has been altered or modified with aftermarket performance enhancing parts. Not following the recommended break-in period and procedure voids any HRA warranty. The specific break-in procedure are included on your Order Approval form and attached to your rear axle assembly purchased from HRA. The life of a mechanical device depends upon the conditions under which it operates, and the care it receives. Wear, when caused by fluid breakdown, dirt, debris, water, or other abrasive material that has entered the rear axle assembly because of improper maintenance, is not covered by HRA standard warranty. Problems caused by parts that are not HRA parts – including but not limited to parts outside of the Rear Axle Assembly. Damage as a result of overheating, lack of lubrication, or contamination. Improper installation and or failure to follow included installation instructions and/or recommended break-in procedures. Any product used for competition, racing or related purposes. Any product to which a device or accessory not conforming to original manufacturer’s specifications has been installed. Improperly maintained fluid, and/or any product on which periodic maintenance services required by the original manufacturer have not been performed. Damage resulting from improper repair(s) or attempted repair(s) by any service technician. Products used in manner that the manufacturer does not recommend, or is used for purposes other than their original intended use. If you are unable to obtain satisfactory service, please contact the HRA Warranty Department, at 832-280-8489 or email scott @ houstonrebuiltaxles.com. This warranty applies to vehicles registered and normally operated in the United States and Canada. ALL IMPLIED WARRANTIES, INCLUDING WARRANTIES OF MERCHANTABILITY OR FITNESS FOR A PARTICULAR PURPOSE, ARE LIMITED TO THE DURATION OF THIS WARRANTY AND DO NOT COVER INCIDENTAL OR CONSEQUENTIAL DAMAGES. SOME STATES DO NOT ALLOW LIMITATIONS ON HOW LONG AN IMPLIED WARRANTY LASTS OR THE EXCLUSION OF INCIDENTAL OR CONSEQUENTIAL DAMAGES, SO THE ABOVE LIMITATIONS OR EXCLUSIONS MAY NOT APPLY TO YOU. THIS WARRANTY GIVES YOU SPECIFIC LEGAL RIGHTS, AND YOU MAY ALSO HAVE OTHER RIGHTS, WHICH VARY FROM STATE TO STATE. 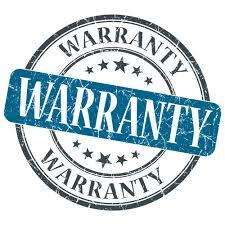 This warranty gives you specific legal rights. You may also have other rights which may vary from state to state and country to country.